This series continues to be one of the best adventure stories currently going in comic books. Every issue has gone from good to great. It’s really impressive how Boom Studios have taken what could easily be written off as crap and turned it into something really special. Issue 22 features the return of Zordon and the Rangers have a lot of tough questions for him. What really appealed to me about this is the conversations that followed in it, the cliche’s where thrown away and we saw people react to things in a normal way, there where no tantrums, no swearing, no table flips, just genuine raw emotions. The Rangers confrontation with their master, Saba making Finster an offer he couldn’t refuse, Tommy and Kimberly trying to figure out who they are and most importantly Jason admitting he is terrified of being a leader. 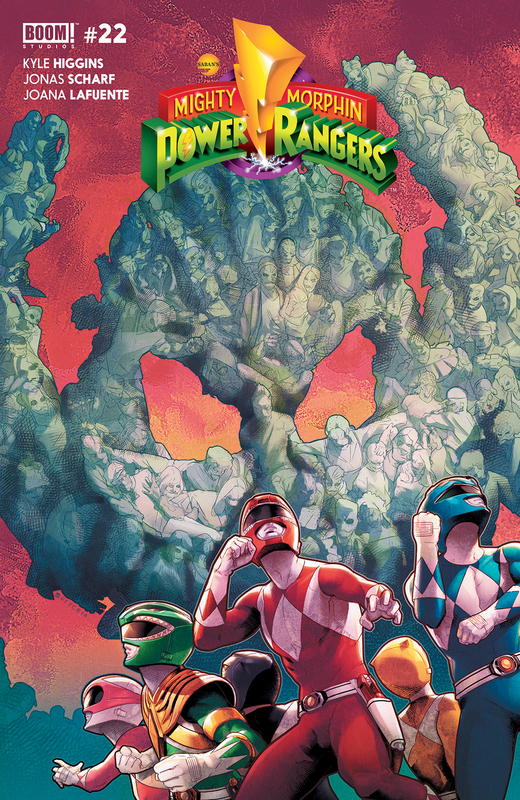 This is some seriously deep issues that Power Rangers is dealing with and that to me is great especially if its supposed to be a series about teens.